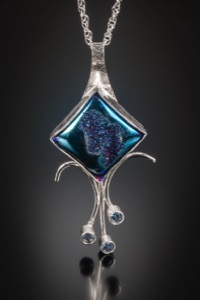 Nella Fischer's metal jewelry has been included in a number of juried exhibitions: Creative Crafts Council, Washington Guild of Goldsmiths, The Delaplaine Visual Arts Education Center (Frederick, Maryland), VisArts of Rockville, The Bead Museum of Greater Washington, Northern Virginia Handcrafters Guild, and Pleiades. She has also been selected for previous JRA Days. 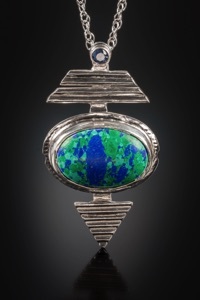 Fischer learned her craft through many classes and workshops provided by The Art League (Torpedo Factory), the Washington Guild of Goldsmiths, Touchstone Center for Crafts (Farmington, Pennsylvania), Bedazzled, and Thomas Jefferson Community Center (Arlington, Virginia).